The International Capital Market Association (ICMA) unveiled Social Bond Principles yesterday (Wednesday), elevating guidelines introduced last year in a bid to promote growth in a move a leading investor said could benefit the overall ESG market. 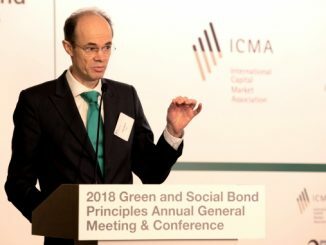 The Social Bond Principles framework – unveiled at the third Green Bond Principles (GBP) AGM in Paris yesterday – is launched a year after Social Bond Guidelines were introduced and, when combined with ICMA’s Green Bond Principles, will henceforth constitute Sustainable Bond Guidelines for transactions incorporating the two sectors. Pfaff said the principles do not change the definition of social bonds as set out in the guidelines, but rather “elevate” the guidelines. 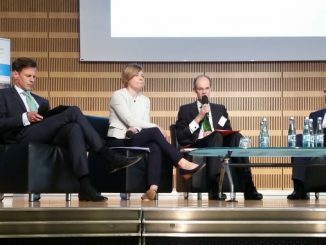 Manuel Lewin, head of responsible investment, Zurich Insurance, said the establishment of the Social Bond Principles shows that “green is not the only colour that matters to investors”, while Tanguy Claquin, head of sustainable banking at Crédit Agricole, told the GBP conference that the social bond market had reached a tipping point – both institutions are members of the Green Bond Principles executive committee. 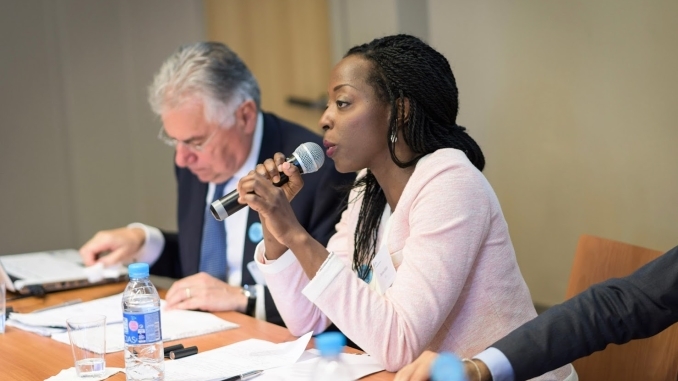 In a panel discussion, Denise Odaro (pictured), head of investor relations at the International Finance Corporation (IFC), noted that $3.7bn (EUR3.2bn) of social bonds have been issued year-to-date, up from $2.8bn in full-year 2016. 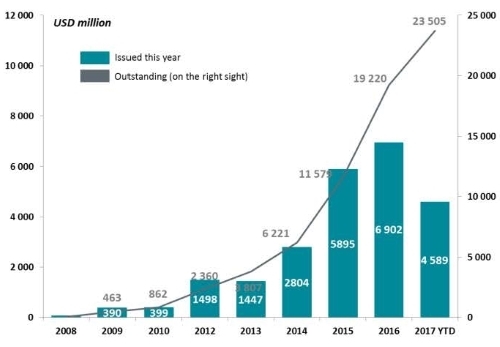 IFC in March inaugurated a newly established social bond programme with a $500m three year social bond – the first US dollar benchmark social bond, according to Odaro. Proceeds from the bond are used to provide finance to companies that buy from smallholder farmers, provide utilities for low income households, and offer affordable health services, education, or housing to low income people. 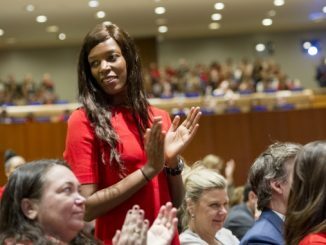 IFC’s new programme was formed by a merger of two of its existing products, the Banking on Women Bond Program and the Inclusive Business Bond Program, through which IFC had earlier issued multiple smaller bonds. Also speaking on the panel, Cathy DiSalvo, investment officer at CalSTRS (the California State Teachers’ Retirement System), said the IFC benchmark debut was the first social bond that her organisation participated in. “We’re very new to the market, but we’re excited to be a part of it,” she said. 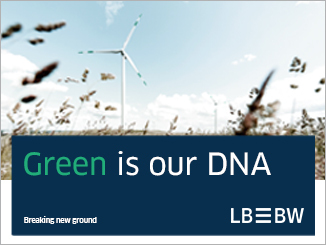 “We integrate ESG into our investments, and buying green and social bonds helps to reach our goals. 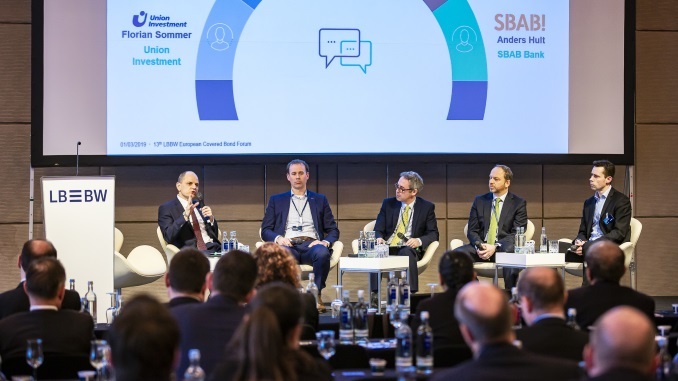 DiSalvo suggested that the growth of the social bond market could be beneficial for the wider ESG market, potentially increasing liquidity in the green bond market.